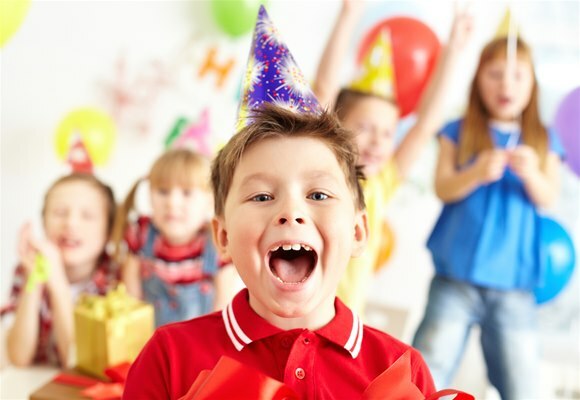 Birthday Parties - Miner Mike's Inc. Miner Mike’s birthday parties are limited to 8 children. If you have more than 8 children your table will be set up in Buster’s dining area. your name and number and we will return your call. The cost is $68.00 for 4 children or fewer. Each additional child is $17.00. Your table is reserved for 2 hours and is set up in the main dining area by the Runaway Mine Train. You will also receive a one time 20% discount of food purchased as one order for birthdays at the Cook’s Tent, located at Miner Mike’s. No birthday parties, scheduled or unscheduled, are to be set up in the maze area due to limited seating. Note: The resident pass may not be used for the birthday package. The cost is $68 for 4 children or fewer. Each additional child is $17.00. Your table is reserved for 2 hours and is set up in Buster’s dining area. You will also receive a one time 20% discount of food and drink purchased as one order for birthdays. No birthday parties, scheduled or unscheduled, are to be set up in the maze area due to limited seating. All groups are eligible for a 10% discount on pizza and drinks purchased as one order. Tax-exempt groups must present a copy of their tax exempt form upon arrival or fax it ahead of time to 573-348-9218. If we are unavailable to take your call, please leave your name and number and we will return your call.